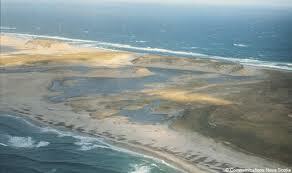 This is actually Sable Island off Nova Scotia, not my island. The old adage goes, “Curiosity killed the cat,” and while that may be true for hapless felines, it is not true for anyone who writes fiction. Curiosity is like oxygen. It breathes new life into old, tired storytellers. Like me. Yesterday, for reasons I cannot now recall, I was perusing Google maps. I was off the East coast of the U.S. when I discovered an unfamiliar landmass off the coast of ______. I’m being deliberately vague here because if I disclosed what state, I might get into trouble. Curiosity led to further digging; the landmass is a privately owned island. Not that this is a particularly remarkable discovery – there are loads of them up and down the east coast. Further curiosity revealed that this particular island has been owned by the same family, uninterrupted by wars, deaths, and lawsuits for hundreds of years. Hmmmmm…private island, ancestral lineage, old money, persistent eccentricities…I smell a story. Enter practicality, if just for a moment. I’m not a historical fiction writer; I cannot fathom tackling the saga of such a family through the centuries. I’m more interested (curious, if you will) about the culture clash between the generations of such a dynasty. Immediately, I thought of all the eccentric characters I knew growing up on the coast. Salt air breeds not only rust but decidedly colourful people. My mind is swimming from the mainland out to this island. A mere speck on the map, its sandy shores are barely holding their own above the rising tides. A slightly crazy patriarch. His daughter and son – both of whom left the island wanting to discover the “real” world on the mainland. A cast of eccentric relatives. A family at the mercy of the tides and time. Run-ins with storms and the Coast Guard. A history of piracy (rumoured). A scandal from a hundred years ago. Bagpipes. Shoals. Learning to accept (and love) the family you’ve got no matter how crazy they are. Yeah. I’m turning off the phone. I’m going to be busy this afternoon…I’ll be on my own private island.